Please see below for the most frequently asked questions. If you can’t find an answer to your own question please do not hesitate to get in touch and we will do our best to help. 01 - Can your photobooth be set up anywhere ? Our photobooth can be set up anywhere that has a flat surface and electricial sockets. The booth takes up the space of 2.3 meters x 1.2 meters. As it is manually put together, stairs are not a problem. 02 - What size is your led dancefloor ? Our white led dancefloor is 16 x 16ft (We can make it smaller or a different shape) and can be set up in the morning of your wedding for arrival to your reception room. Most of our bride & grooms like to use it to take their photos of the cutting of the cake. If you are tied for space, please let us know when booking that you would like a pm set up. 03 - What is the greenscreen in your photobooth ? The greenscreen function in our photobooth is fun images (ie Vegas, New York, Holywood etc.) behind you when you are taking and printing your photo. This option can be removed if you would rather have a plain white background. When booking, just ask that you prefer to have a white background. 04 - When hiring your photobooth will my guests receive a photo on the night ? Yes, all guests will get an instant photo on the night. They can visit the booth as often as they wish for the duration of the hire.When a large amount of guests go into the booth for one group photo we try our best to give each guest their own copy. We need to keep one for the bride & grooms complimentary guestbook. 05 - Do you supply bags & sweets with your candy cart ? 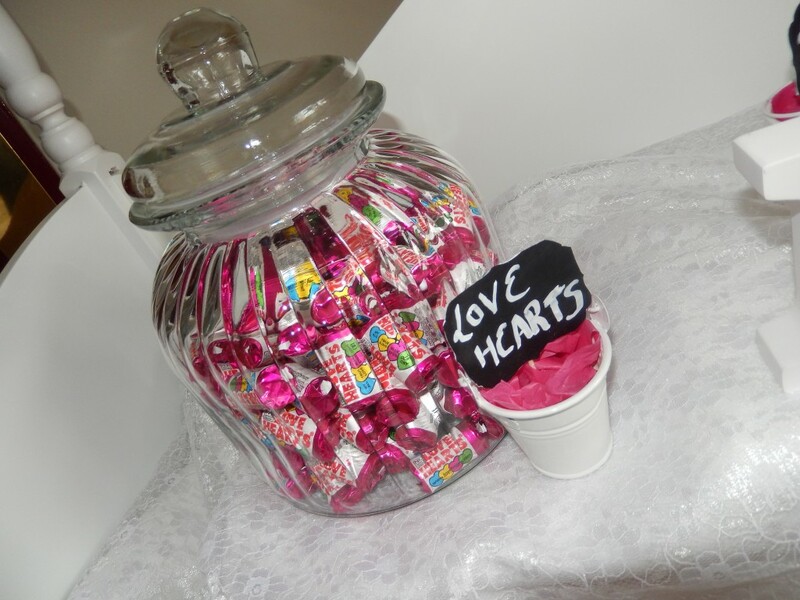 Yes when hiring our candy cart, we fill the cart full of sweets and tie in your chosen colour with bags and bows. why not let us take away the stress of a few things, we provide great value and always have a deal or two on.